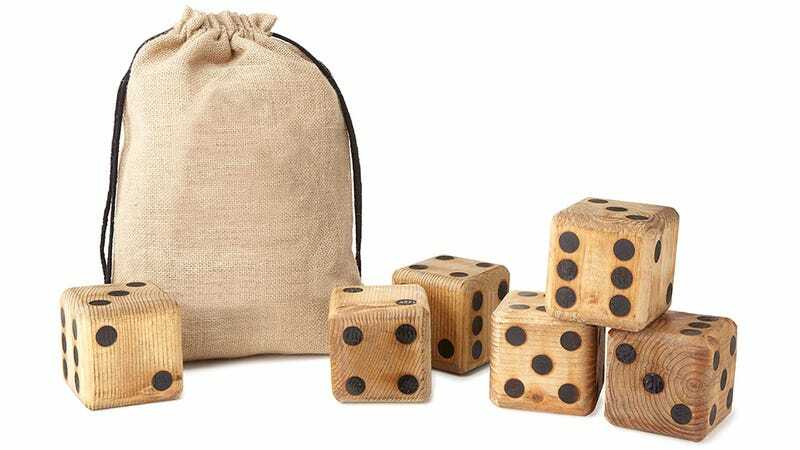 Like giant Koi in a pond who've grown larger than their goldfish siblings trapped in a bowl, this set of six over-sized wooden dice is designed to be tossed around in your spacious backyard. They say everything is better when it's super-sized, right? So playing with Yahtzee with five of these dice might actually come close to being actually fun.